The Journey at New Hope begins in Janaury 2019! In the midst of all of life’s activity, do you ever feel like you are just skimming the surface? Do you wonder if there is more to this life with Christ? That you have been called to something greater? 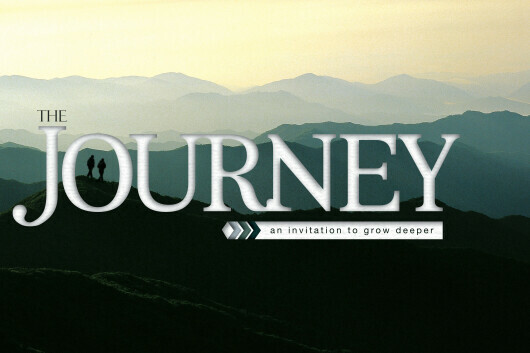 The Journey invites you to awaken to God’s good work in and through you. Imagine the significant rewards that could result if you are brave enough to walk through a process that deepens and refreshes your life with Christ with a group of curious, motivated adults. The Journey is a meaningful walk with others that explores the biggest questions of your faith: Who is God? Who am I? What does God desire to do through me? The Journey group (usually 6-12 people) meets together weekly, guided by a trained facilitator who encourages accountability, safe relationships, thoughtful reflection, honest conversation, and prayer. The Journey is a commitment and the rewards can be significant. How do I learn more about “The Journey”? The session begins January 17 and will end October 10. Would you like to enroll in The Journey? Click here for the class enrollment application.